Chile's 200 Leopard 1 tanks will be removed from active duty once the army's Leopard 2 fleet is fully operational. The older tanks may be placed in reserve, sold to another nation or cannibalized for spare parts, according to a wire service report. Chilean officials reportedly are sensitive about having too large of an armor advantage over neighboring armies. Although 200 is the number of Leopard 1 tanks officially reported, other sources have indicated an additional 70 were purchased. Scores of AMX-30, M-41, Sherman and other old tanks have been put to pasture already. The army's new organization consists of several Leopard 2 battalions, each with 31 tanks. They're to be supported by Marder infantry fighting vehicles, M-109 self-propelled howitzers, M-113 personnel carriers, Gepard air-defense systems and other equipment. Thus, the army is moving closer to its vision of self-contained armor brigades. Defense analysts estimate Chile has amassed $3 billion from copper revenues to spend on weaponry. The main items already under discussion include air-defense missiles for the army, refueling tankers and early-warning aircraft for the air force, plus UAVs for all armed forces. Here's this blog's proposed spending plan, which argues that most purchases should be for equipment that can also have a civilian use. For the navy, two more patrol vessels make sense. These ships serve a valuable role in protecting economic interests. It's also important to acquire a ship capable of transporting troops, helicopters and vehicles for peacekeeping missions and natural disasters. For the air force, UAVs and early-warning aircraft would help patrol borders and fight drug trafficking. A fleet of rescue helicopters, which is already under consideration, is needed for civilian emergencies. For the army, infantry modernization is key. That includes more optical electronics, body armor, M-4 carbines. The peacekeeping batallion should get priority. Not all $3 billion need to be spent. It would be smart to set aside $1 billion to create a fund, sort of an endowment, to generate new revenue for the military. The surplus oiler USS Andrew Higgins is being transferred to Chile's navy under a bill signed by President Bush. The Kaiser-class vessel was built in 1987 and has been out of service since 1996. It can carry up to 180,000 barrels of fuel oil or aviation fuel and eight 20-foot containers. The Higgins replaces the Araucano, a vessel built in Denmark for the Chilean navy that began service in 1967. Although transferred at no cost, the law mandates that necessary refurbishments must be done by U.S. contractors. The bill, signed Oct. 15, also authorized the transfer of two Newport-class landing ships to Peru. No word yet on when the ships will be ready for service. The head of Chile's air force confirmed negotiations for the purchase of 16 more F-16 fighter jets from the Netherlands. But Gen. Ricardo Ortega told La Tercera that other "very interesting offers" are being evaluated, too. Those include the Eurofigher and used F-16s offered by Denmark and Norway. Meanwhile, Chile is considering a follow-on order of 10 new F-16 C/D Block 50 jets, Flight International reported, citing local sources. The Eurofigher would give FACh another front-line warplane to supplement its existing F-16 fleet. The U.S. arms embargo of the 1970s and '80s taught Chile's military to not rely too heavily on a single country for military hardware. But while the Eurofighter's unit cost is difficult to pinpoint, it certainly would be much more expensive than second-hand F-16s. The entire package of 16 planes plus spares and logistical support would total $170 million. For that money, you can buy one or two Eurofighters. The new aircraft will replace 15 F-5 Tiger III fighters that were purchased in 1976. FACh had planned to keep them flying until 2015. But the structural repairs necessary are no longer cost-effective, defense analyst Jose Higuera told La Tercera. 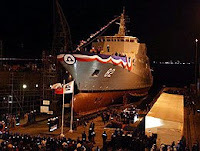 The Chilean navy's second offshore patrol vessel was launched Oct. 15 at the ASMAR shipyard. The ship now goes into sea trials and is scheduled to enter service late next year. The Comandante Toro is a 1,900-ton ship with a helicopter hangar, maximum speed of 20 knots, endurance of 30 days and a crew of up to 60. Its role will be to patrol Chile's extensive territorial waters, provide rescue and environmental services and protect fisheries. Its main armament is a 40 mm gun. The navy's long-term plan is to build four OPVs, one for each of its major naval districts. The ships -- based on the German Fassmer class -- also may become the platform for a new guided-missile corvette. Chile's highest court handed a six-year sentence to retired army Gen. Sergio Arellano, 88, for the deaths of five dissidents in 1973. The Oct. 15 ruling followed news that an ex-naval officer admitted that an activist priest died aboard the training sail ship Esmeralda after being beaten soon after the 1973 military coup. The death of Miguel Woodward has become a symbol of human rights abuses by the military. Last month, the navy brass met with relatives of Woodward and others who disappeared under navy custody. Navy chief Rodolfo Codina apologized to families, but relatives still demand an "institutional" apology. Nineteen former navy personnel have been charged in the Woodward case. The Esmeralda's second in command when Woodward died testified that medical staff tried frantically to save Woodward after it became apparent he had suffered internal injuries. Those were inflicted at a navy facility, and the priest was taken to the ship for medical care. The incident has sullied the image of the Esmeralda, a longtime source of pride for many Chileans. The air force plans to acquire 16 more F-16 fighter jets from the Netherlands to replace a similar number of F-5 Tiger III fighters, according to the DPA news agency. The F-5s, with more than 30 years of service, would be retired late next year, the report added. Based in Antofagasta, the F-5s serve primarily as front-line interceptors. They've been extensively upgraded with Israeli avionics, helmet-mounted targeting systems and Python 4 and Derby air-to-air missiles. Holland still has a number of surplus F-16s that have undergone the mid-life upgrade (MLU) and are quite capable warplanes. Chile purchased 18 of these three years ago. If the deal materializes, it would likely end plans to buy fourth-generation fighters. The Eurofighter had been rumored, especially after FACh commander Ricardo Ortega took a ride in one recently. Chile's army won't be fully accepted as a part of democratic society until questions about its human rights past are settled, Gen. Oscar Izurieta says in an article in this week's The Economist. But to continue seeking recrimination doesn't necessarily help the country, he added. The article discusses other aspects of the army's reform, such as its growing peacekeeping role and the shift from conscription to a professional force. (These issues have been covered in this blog.) Check out "A force for good, now: A newly streamlined army polishes its democratic credentials." An overhaul of the weapons-acquisition process calls for four-year plans under which the military would spell out its shopping list and how much to spend. The spending outline would be reviewed annually, according to La Tercera. The plan eliminates the armed forces' principal arms-funding source -- 10% of the state-owned copper company's export sales. (In 2007, the set-aside amounted to $1.39 billion.) But there would be a spending floor, and the budget would be based on each branch's needs, rather than an equal division of dollars under the current system. One goal is to coordinate weapons systems among the three branches of the military. Basic costs such as food, salaries and maintenance would still come from the general budget. The revamp would also set up a position similar to the U.S. chairman of the joint chiefs, who would oversee combined operations but leave administration of each branch to its top commander. President Bachelet's administration will send the proposal to Congress in a few weeks. As far as the military brass goes, army chief Oscar Izurieta has cited "technical and fundamental" issues. But generally, commanders agree with the proposal. FACh took delivery in August of a 767-300 purchased from a Portugese company. The aircraft will be used for various transportation tasks, including ferrying the president on long-range trips. The air force's plan is to acquire two of the 767s. With a Boeing 707 and Hercules C-130 planes at advanced ages, FACh is trying to update its transportation fleet. FARC Involved in Mapuche Movement? The government confirmed communications between the Colombian rebel group FARC and Chile's indigenous Mapuche activists. Emails found in the captured laptop of Raul Reyes -- the No. 2 FARC leader killed in a raid inside Ecuador last March -- sought training for Chilean activists groups, including Mapuches. The links heighten fears that foreign groups are aiding Mapuche radicals. But Interior Undersecretary Felipe Harboe said there's nothing to indicate an active role by FARC in the indigenous movement. Europe's EADS-Astrium won a $72 million contract to build and launch a research and surveillance satellite for Chile. The satellite, going into space in 2010, will be used to monitor climate, forests, fishing and other civilian purposes. 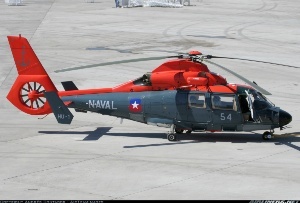 It will also watch over Chile's borders and have a role in military intelligence. The Ministry of Defense is funding the project, even though only 5% of its use will be military. The deal gives Chile's air force a space program, which will manage the satellite and its data collection. Update: A defense panel in Chile's legislature has summoned defense official to explain the rationale for acquiring the EADS-Astrium satellite. Lawmakers are questioning inconsistencies between the request for proposals and the model chosen. They also want to review other issues, including the pricetag and concerns that the satellite's resolution is too weak to serve military purposes. Chilean lawmakers and defense officials are working to curtail or eliminate the largest source of funding for weapons purchases. The state-owned copper company, Codelco, is mandated to pass 10% of all sales proceeds on to the military. With the price of copper booming in recent years, the so-called copper law has provided Chile's armed forces with huge sums. Just last year, the allotment amounted to $1.39 billion. There's a growing consensus that the armed forces really don't need that much, especially when neighboring countries are making modest military purchases. There's also a push to improve Codelco's performance. Details of a new financing program, reviewed by the military brass, haven't been released. But the basic plan is to create four- or five-year acquisition programs and establish funding for the weapons systems approved. Largely thanks to the copper funds, Chile has acquired top-shelf F-16 fighters, frigates, Leopard II tanks and other hardware. But it hasn't spent all Codelco funds it's entitled to. Funding for salaries, health care, housing and other expenses come out of the government's general budget. Copper funds typically don't pay for maintenance costs, a major expense with any new system. Chile's army "absolutely repudiates" the 1974 kidnapping and homicide of an ex-army chief, current commander in chief Oscar Izurieta said July 7. His remarks were the first on the subject since a former intelligence head and others were convicted for the killing of Carlos Prats and his wife while they were in exile in Argentina. Izurieta said he knows "what I have to do" if other officers are charged. Meanwhile, the BBC tells of a controversy over new indictments against military personnel who were junior officers at the time of human-rights abuses. The officers say they were simply following orders in an ultra-disciplined military. Families of victims aren't so forgiving, though. A Twin Otter light transport plane crashed during a training mission July 2, killing its crew of three. The pilots were practicing low-level flying when apparently an in-flight problem forced them to try an emergency landing. While attempting to land, the plane hit power wires, witnesses said. The plane went down near the southern town of Cochamo. Chile's air force has settled on the Embraer Super Tucano as its next advanced trainer, according to reports in Air Forces Monthly and Jane's Defence Review. Negotiations are under way for 12 of the turboprop aircraft, which are replacing the CASA/Enaer T-36 Halcon. Separately, AFM reported FACH was trying to talk the Peruvian air force into joining training exercises with the U.S. Air Force, Argentina and Brazil. The air force notified EADS that it won't acquire two Airbus 310 Multi Role Tanker Transport planes, citing delays in finding suitable used aircraft. Instead, FACH is now seeking a pair of Boeing 767s. The Airbus project had stumbled from the get-go. First, FACH eliminated the refueling booms, which could have extended the range of its F-16 fighters. Then, few A310s were available in the world market, and no facilities in South America to maintain that type of plane. Under the new plan, maintenance will be handled by Lan Airlines, which has extensive experience with the aircraft. The 767s won't have in-flight refueling equipment. FACH told the daily El Mercurio that it urgently needs cargo planes, and it will consider tanker options later. Sources told the newspaper Airbus had located planes for FACH, but the air force rejected them because of the necessary upgrades. The Boeing 767s will also serve as a long-range VIP transports. Meanwhile, Chile's version of Air Force One -- a 737-500 with some business-jet features -- is being fitted with additional fuel tanks to extend its range, at the expense of passenger capacity. Europe's EADS or Canada's MacDonald Dettwiler & Associates will be awarded a $70 million contract for an observation and research satellite, according to a wire report. That eliminates Israel Aircraft Industries from the running, despite that Chilean military officials preferred IAI's satellite. The final decision, now expected by the end of June, rests with Defense Secretary Jose Goni. Chile's armed forces are considered much friendlier to democracy today than in 1991, when the election of a civilian president ended 17 years of military rule. In a survey conducted last year, 70% said another military coup is unlikely or impossible to occur in Chile. That compares to 44% who felt the same way in 1991, according to researchers at Latin American Faculty of Social Sciences. What's behind the shift in opinion? Gen. Pinochet's stepping down as army chief in 1998 was a key step, says Claudio Fuentes, one of the study's authors. The military also moved to change its image by joining peacekeeping operations, for instance. Voluntary military service, the addition of women soldiers and a greater willingness to accept responsibility for errors are other factors boosting the military's image. Still, less than 8% think the armed forces are firmly committed to democracy, while 46% say they're lightly committed. Chile was the world's 17th largest weapons importer in 2007, spending $617 million. That puts it second in Latin America after Venezuela, which spent $887 million. Data from the Stockholm International Peace Research Institute covering 2005-07 shows Chile paid $50 million for 20 Harpoon II anti-ship missiles. Other noteworthy items: $125 million for spares, training and munitions to supplement the $225-260 million purchase of three ex-Royal Navy frigates, and $10 million (including modernization) for three former Brazilian Dauphin helicopters. SIPRI's data also show the purchase of 1,000 Spike-MR/LR anti-tank missiles, 29 Blackshark torpedoes, 200 RIM-66B Standard-1MR surface-to-air missiles and 75 AIM-7M Sparrow SAMs. The anti-aircraft missiles are for frigates purchased from the Netherlands. The air force and Airbus have had trouble finding used planes for conversion into the A310 Multirole Tanker-Transport version, significantly delaying Chile's acquisition. Two aircraft that were to be transferred from a government-owned airline in Poland had to be scratched. European Union rules bar direct sales of surplus government property, and the required bidding process would have been lengthy. A pair of FedEx planes were then considered. But extensive corrosion also scotched that option. A couple of A310s appear to be available from Turkish Airlines, elmostrador.cl reported. Despite the setbacks, the air force says the deal with EADS remains in place. The need for new long-range transport planes was underscored when the FACH plane carrying President Michelle Bachelet and other officials had to make an emergency landing April 9. One of the engines of the aged Boeing 707 had to be shut down en route to China. The plane returned to Chile for repairs, and Bachelet (and a much smaller entourage) had to fly in an air force Citation IV. Five retired Chilean admirals were indicted April 18 over the death of dissidents, including a British-Chilean priest, following the September 1973 coup. The indictments, handed down by a judge, came one day after the former head of Pinochet's secret police was sentenced to 15 years in prison for the disappearance of a leftist activist. Retired Gen. Manuel Contreras is already serving time for abuses. The air force keeps losing pilots to higher-paying airline jobs. FACH commander Ricardo Ortega said 17 pilots quit in 2007 and 12 more in the first two months of this year. At the same time, FACH adds about 22 pilots a year, to maintain a force of about 400 aviators. The problem has gotten worse in recent years, as commercial aviation booms in Latin America. Like in other countries, the economics favor airlines. A Chilean F-16 pilot makes roughly $1,800 a month, but could earn a starting salary of $4,000 a month flying for Chile's LAN Airlines. Ortega has pleaded for higher pilot pay, but there's been no response from the government. LAN is the main destination for former FACH pilots. But others are flying for carriers in India, Vietnam, Singapore and other Asian countries. In fact, LAN itself has lost a number of pilots -- some who earn as much as $25,000 a month, not including housing and other benefits -- to foreign carriers. Three companies are finalists for the Chilean air force's contract to build and launch a research and surveillance satellite. Europe's EADS, Israel Aircraft Industries and MacDonald Dettwiler & Associates of Canada remain from seven original contenders, according to elmostrador.cl. The project, which may cost $80 million, would serve to monitor climate, oceanic, forestry and other geologic trends. It may help watch over Chile's borders, too. The project includes technology transfers to Chile's military and universities. In 1994, Chile's first satellite was a dud: The British-built orbiter couldn't be dislodged from its Ukrainian launcher. A second satellite was put in space in 1998, ending its life in 2001. The winner of the new contract is expected to be announced by the end of April. An earlier contract, with EADS, was voided after controversy over the selection process. Chile's air force-owned aerospace company is hooking up with Alenia Aermacchi on the Italian company's M-346 new-generation trainer jet and M-311 basic trainer. The partnership aims to market the planes to Latin American countries and opens the door to joint production of the aircraft by Enaer. That gives Alenia Aermacchi, a unit of Finmeccanica SpA, the inside track on Chile's upcoming contract for new trainers. The agreement is the biggest headline so far out of the Fidae air show this week in Santiago. Another noteworthy item was news that the U.S. Air Force will conduct training exercises with Chile's air force.